COMPLETED 2003 | 2,000 S.F. Responding to the sweeping movement of the land and the shoreline’s undulations, the Deer-path House has a tectonic topography arising from the form and structure of its roof. The lineal floor-plan is laid out to echo a path through the woods used by deer. Living spaces are open to sun and water views to the south, while the service spaces aligned on the north are more enclosed. 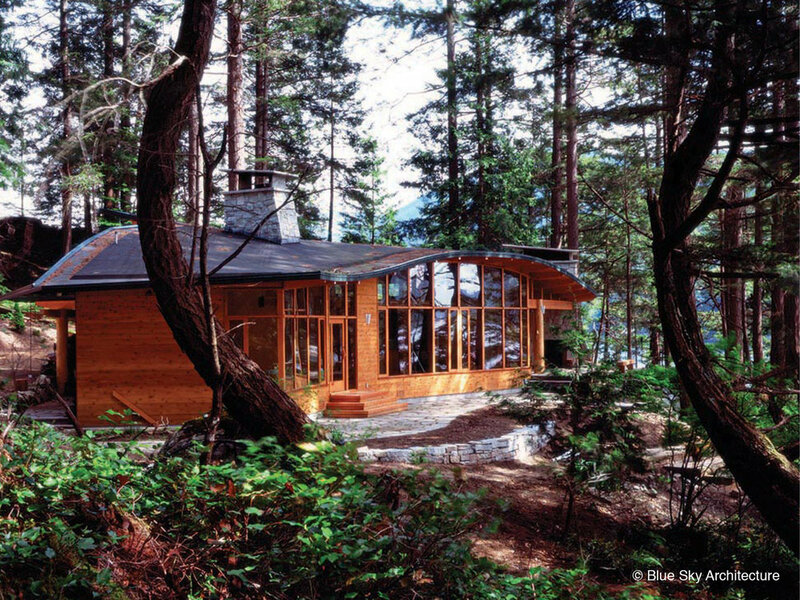 The north elevation is orthogonal and its forest-side window openings respond to site opportunities in their size and location. The south elevation is a three dimensional curve, reflecting site contours and line of the shore. With the exception of structurally necessary shear panels, this side is entirely glazed. 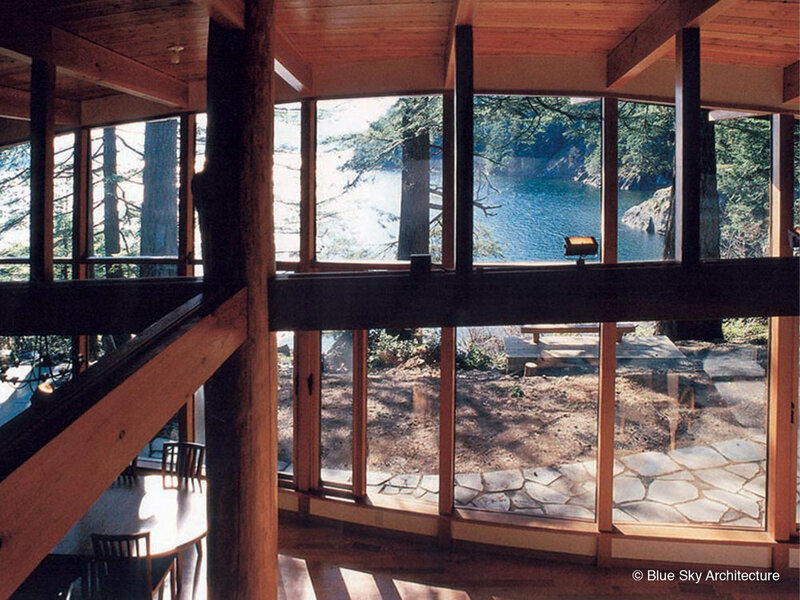 All of this makes the Deer Path House a resounding example of West Coast Modern residential architecture. 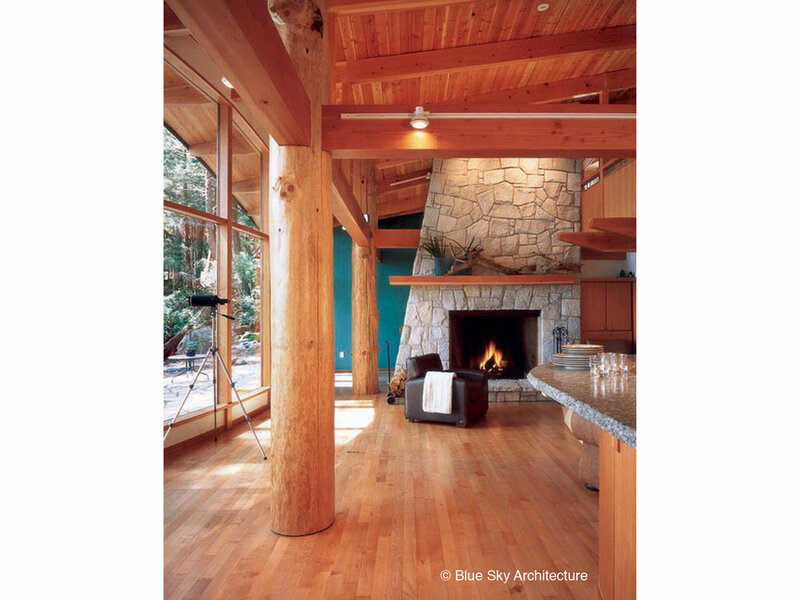 Extended roof overhangs, flanking evergreen forest and a design for natural ventilation all combine to keep the house pleasantly temperate year round. A three meter-high cube crate made of stainless steel contains coiled PVC pipe filled with inert liquid is submerged in the ocean. This heat sink functions as a water source geo-exchange system to provide heating.